What do cactuses sound like? 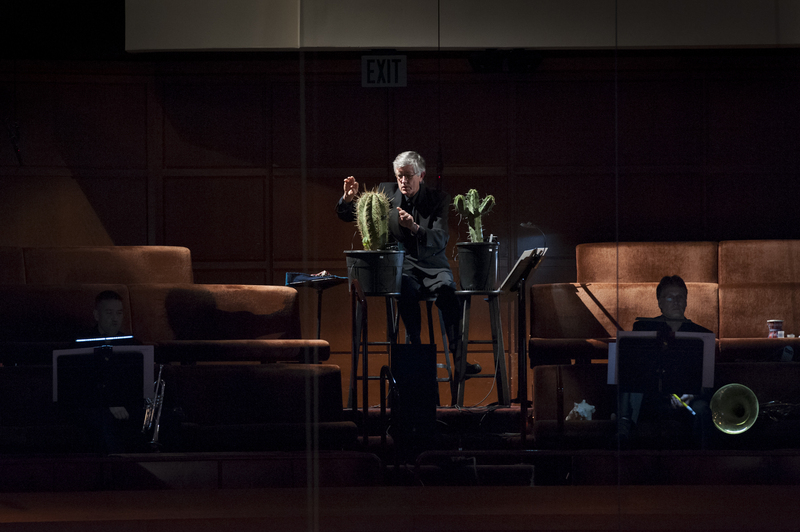 Of all the ear-eye-and-mind-tingling things I’ve experienced on the Bay Area arts scene this week and have not yet had time to chime in about, last night’s performance of John Cage’s Renga by the San Francisco Symphony topped the list. That’s not to disparage the entrancing solo set I heard on Monday by British singer-songwriter Nick Mulvey at The Chapel in the Mission; I’ve been listening addictively to Mulvey’s moody lyrics and crunchy harmonies all week ever since. But when it comes to sheer novelty, there’s really no way a man playing a guitar can compete with a man playing a pair of cactuses. The cacti in question were stroked, plucked and pressed (ouch!) by San Francisco Symphony percussionist Tom Hemphill during the Symphony’s engrossing presentation of Renga, Cage’s largely improvisational 40-minute work dating back to the mid-1970s. The thorny plants were amplified. At times the sound they made when struck was akin to droplets of water falling into a sink; at others, I thought I was hearing some kind of tinny xylophone. My ears were inspired. Now I want to have a conversation with a cactus. Cage intended the piece, which is inspired in part by the work of Henry David Thoreau and in part by a Japanese poetic form known as “Renga,” to be played in honor of a head of state or other dignitary. 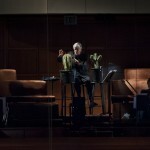 Michael Tilson Thomas presented the work in honor of its composer. As such, this version of the work, written in 78 parts for whatever assortment of instruments the producer of a performance wishes, interwove a variety of pieces by Cage. These included the Sonata for Clarinet (1933) which was caressingly and spryly performed by SFS principal clarinetist Carey Bell, A Room, a 1943 piece for prepared piano, and Child of Tree, the aforementioned cactus piece. There were many other offerings besides, played in breathy cacophony by instrumentalists and singers dispersed in little clusters around and above the stage. Also, actor Tim Robbins was on hand to narrate, with humorous somberness, Cage’s Lecture on Nothing from 1950. The monologue is a fitting accompaniment to Renga, with its repetitive incantations about the pleasurable fitfulness of going nowhere, of doing nothing. The only element of this remarkable musical event that should have been excised was the addition of twin video screens above the stage, sputtering out vintage TV content intermittently as the piece evolved. The video was supposed to illustrate the culture of Cage’s life and times. Cage’s life spanned nearly the entirety of the 20th century. But the footage didn’t reflect this span. Instead it leaned heavily on the middle period, with kitsch ads for cigarettes and breakfast cereals, and snippets of scenes from beauty pageants and celebrity interviews. I found the visuals to be nothing but mindless distraction from the music. Then again, perhaps the role of the screens in underscoring the theme of the vacuous nothingness of human existence was intended. Even so, I could have done without this stuff. No two performances of Renga are the same. I want to hear it again. And next time, I’ll do a radio story about the cacti.